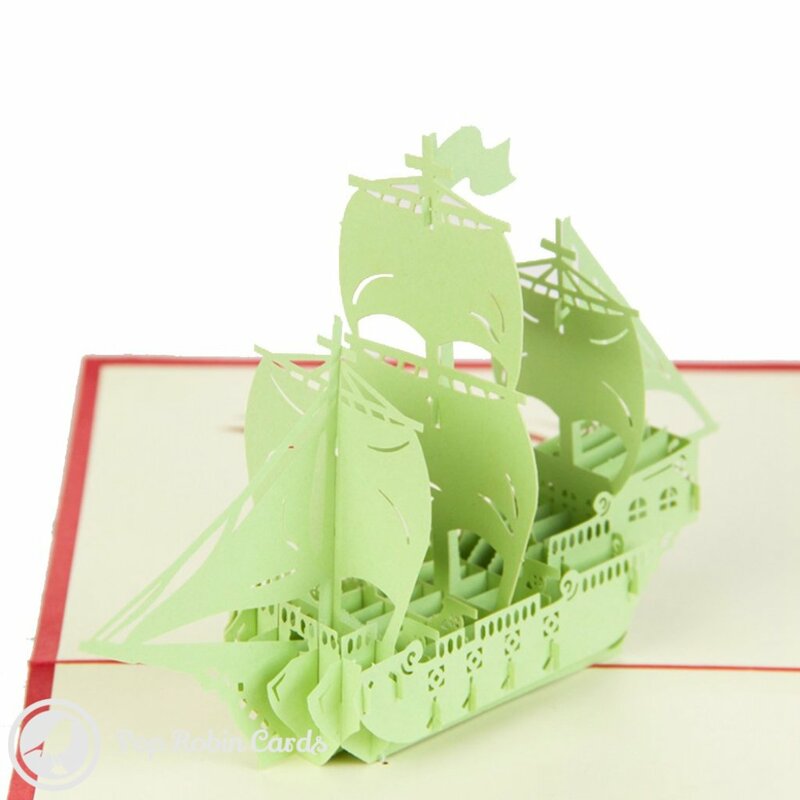 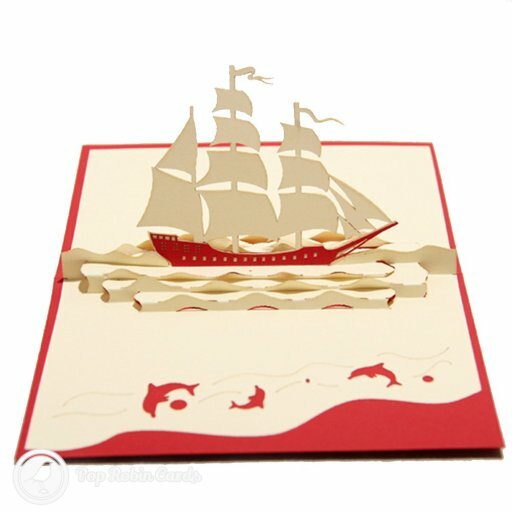 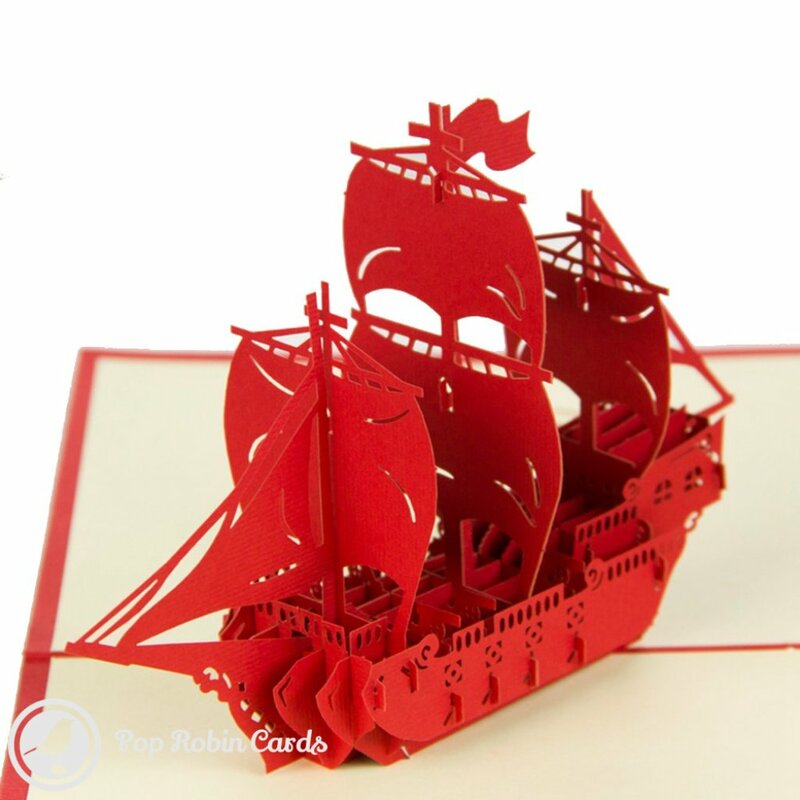 This intricate greetings card opens to reveal a stunning sailing ship in a 3D pop-up design. 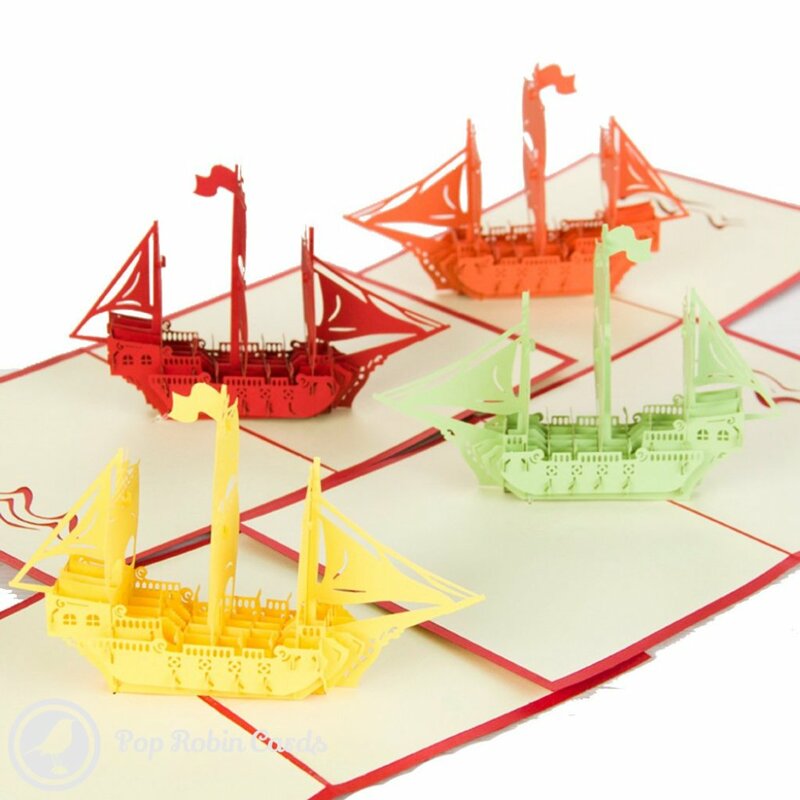 The detailed design is complete with masts, sails and flags, and is sure to impress sailors and pirates alike! 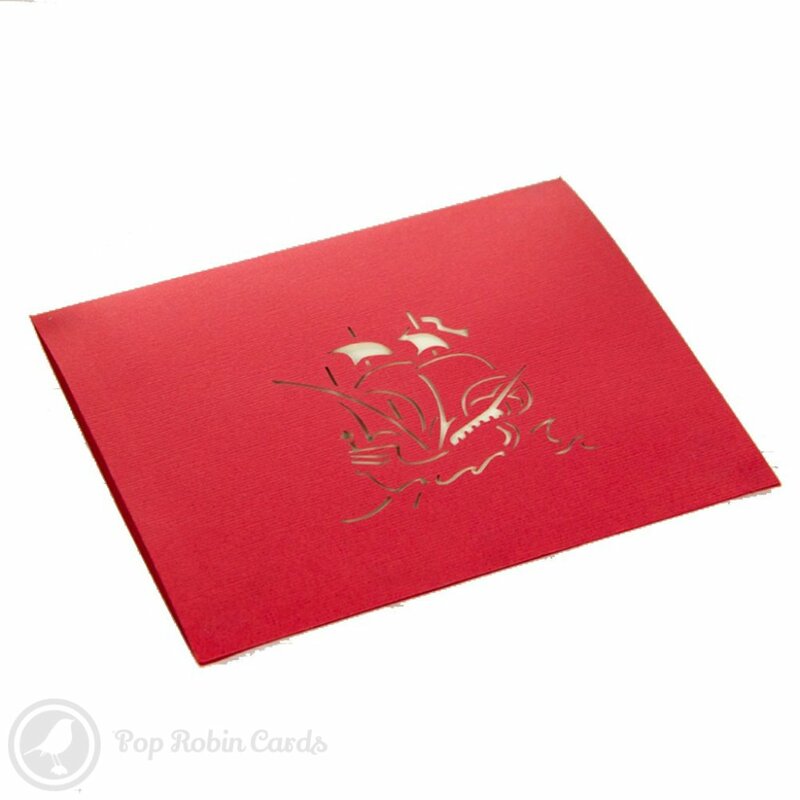 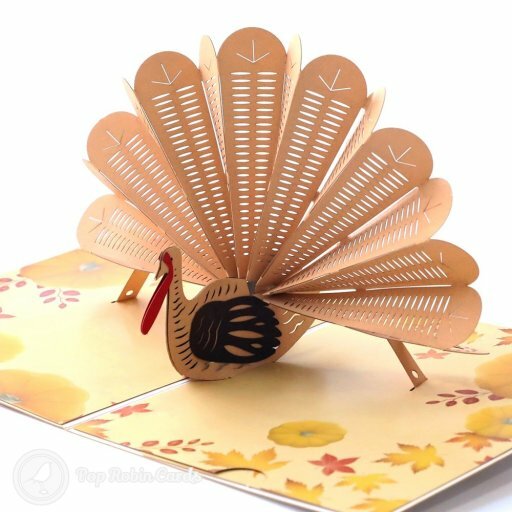 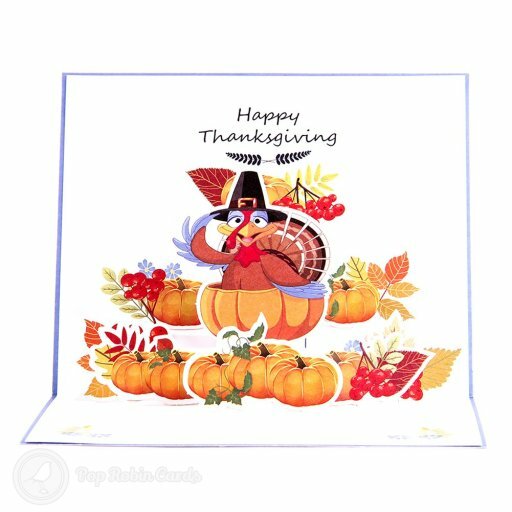 The card is available in four different colours.